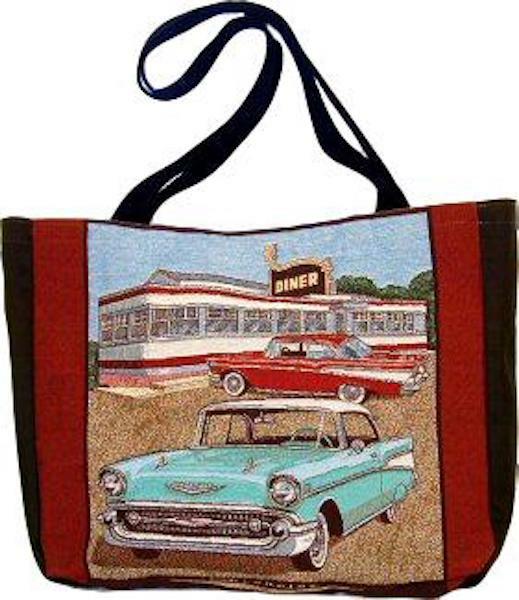 This tote bag is a nostalgic 57 Chevy tapestry pattern. Straps and backing are black. The tote bag is beautifully designed and expertly crafted. Measures approximately 15 inches square. 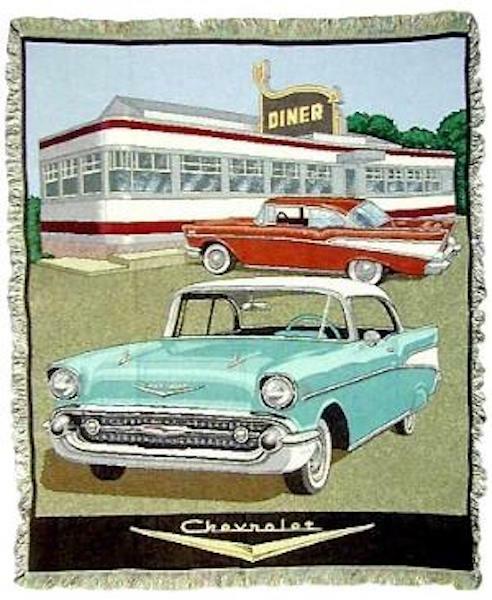 It makes a unique gift for the Chevy lover. 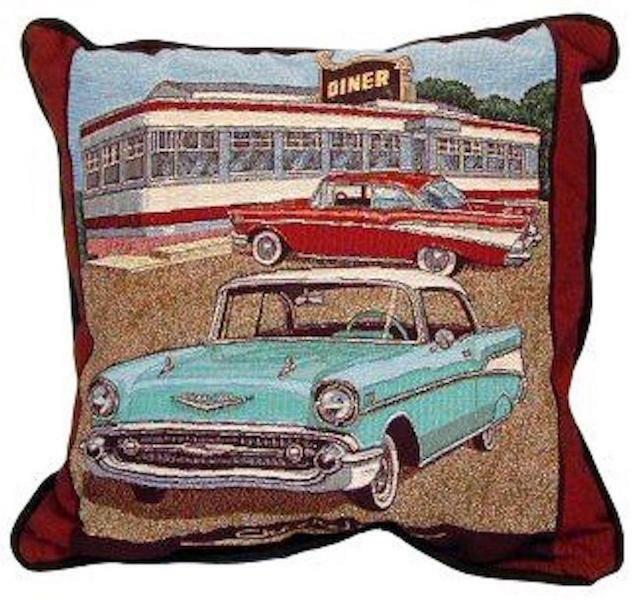 Also available in matching throw and pillow. 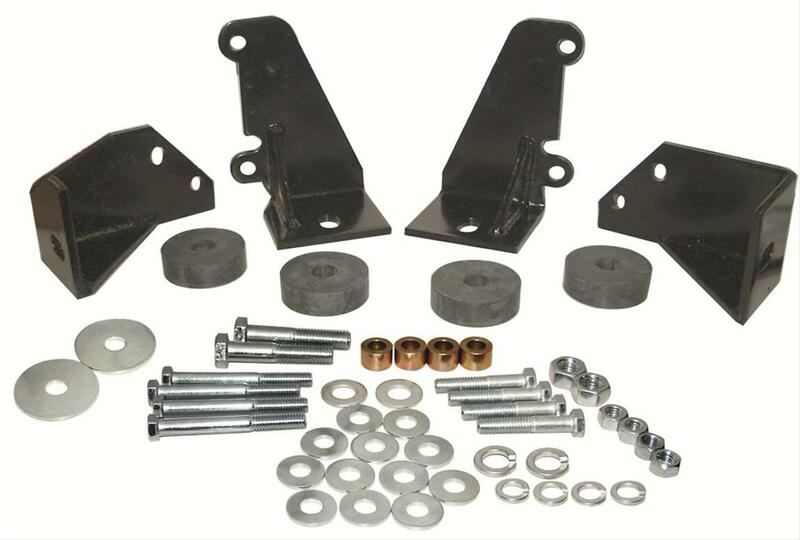 This is a must have for every 55-57 chevy lover.